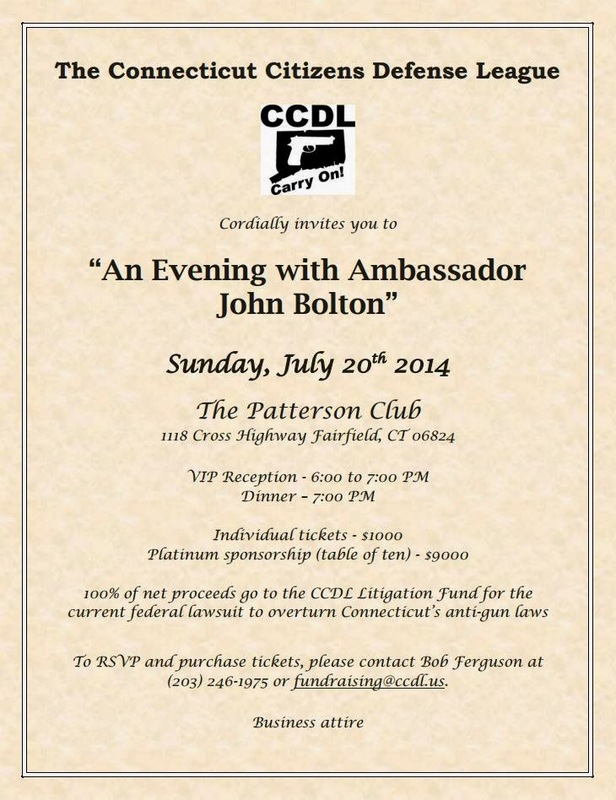 Press Release: The Connecticut Citizens Defense League (CCDL) has secured Ambassador John Bolton as a speaker for a small, private dinner that we are hosting at the Patterson Club in Fairfield on July 20th, 2014. 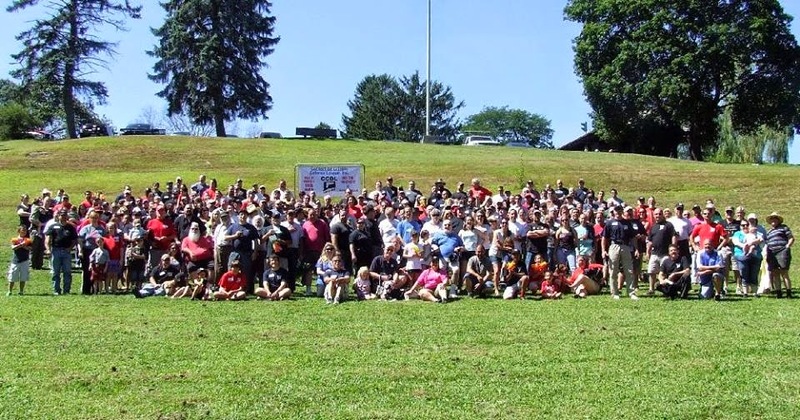 This fundraising dinner is specifically designed to appeal to gun owners that are also business owners, gun manufacturers and other high-profile individuals. The event will be by invitation only and will be closed to the press. 100% of net proceeds go to the CCDL Litigation fund to fight further infringement on our Second Amendment rights. Who would ever pay $1,000 to hear this crazy Neo-Con speak? Bolton would have us invade Iran yesterday if he could. He may well be the most clueless man alive.